Following Sony's news announcement about the new, slimmer, cheaper PS3 Slim model, it is too easy to overlook the numerous other key PlayStation announcements at GamesCom in Germany this week - with Sony also announcing an Apple-inspired mini-game download service for its new PSP Go and a new firmware update for the PS3 that sneaks in support for the BBC iPlayer. And while many of us already have BBC iPlayer on our numerous laptops, set-top boxes and mobile internet devices, it is great to see Aunty Beeb supporting the PlayStation 3 in the UK. As for the PSP, the other big news to come out of Cologne this week was the announcement of a rather cool promo to kickstart sales of PSP Go - with Brits being offered a free copy of the new Gran Turismo game for PSP alongside their shiny new £225 handheld in October. See, it really was worth waiting six years for Polyphony to finally prove to use that GT PSP wasn't vapourware after all! 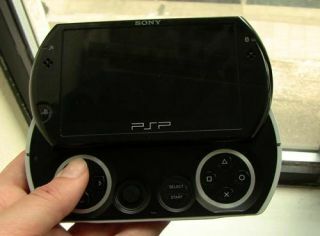 As for the new PSP Minis, which are being described as downloadable, low-cost 'bite-sized' games for the PSP - it is obvious that Sony is learning some important lessons from Apple here in the gaming space. A sentence that, were we to travel back in time and type it in 2005 would have made us choke on our croissants with laughter! But no, it is now unarguably the case that cheap, quickie (dare we say it) 'casual' gaming is where the big money is to be made in the handheld market. The real question is whether Minis, in addition to Sony and Marvel's newly announced Digital Comics service, can convince gamers to direct their money and their love back towards the PlayStation Portable, with Apple already making serious in-roads into the core gaming market as well as in the throwaway casual arena. Finally, for those PS3 gamers who are already perfectly happy with their 'phat' current gen console Sony has announced Firmware 3.0 at GamesCom, which includes animated themes, a What's New section and direct links to various TV services on the XMB - which means that the PS3 now works seamlessly with BBC's iPlayer in the UK. No official word yet as to when firmware 3.0 will be released. But stay tuned to TechRadar and you will be the first to know. After we do, of course. · "What's New" - The "Information Board" will be replaced with a "What's New" section, which allows you to enjoy interactive PlayStation news every time you start the PS3 system. Located under the PlayStation Network icon, "What's New" displays the latest and greatest game, video, PlayStation Network and PlayStation news and releases, as well as your recently played games, in a sleek, new animated format. · Status Indicator - In the top right corner we've added an indicator bar, which displays your user icon, friend icon, the number of friends you have online and a small message icon to let you know if you have any new messages. The indicator also includes a scrolling ticker that features the latest news from PlayStation Network. In addition, when you press the PS button, the battery life indicator will no longer cover up the clock. · Friends List - Now your PlayStation Network friends will appear in a slightly redesigned format on your Friends List. Also, messages will now be viewable from each of your friends' respective profiles. · PlayStation Store Shortcuts - We've added a handy shortcut icon to the PlayStation Store under both the Game and Video categories so you can access the latest content quickly and easily. · Personalisation - Personalise your PS3 with new dynamic custom themes and avatars. Dynamic themes as well as free and premium avatars will be available through PlayStation Store. A dynamic theme takes your screen to a whole new level as it incorporates animated objects into the background. · Trophies - Showcasing your hard earned trophies just got better. Update 3.00 gives game developers the ability to modify how they display trophies for add-on content. Base and add-on game trophies will continue to be combined into a single list so you can see where you stand in a game as a whole. Within that list, trophies will be broken out into subcategories - base trophies and add-on trophies - that way, you can easily view the percentage of your base game trophy collection, and separately track your trophy progress in add-on packs. Look for this enhancement to be included in upcoming games.